marimba band and many wonderful art displays! 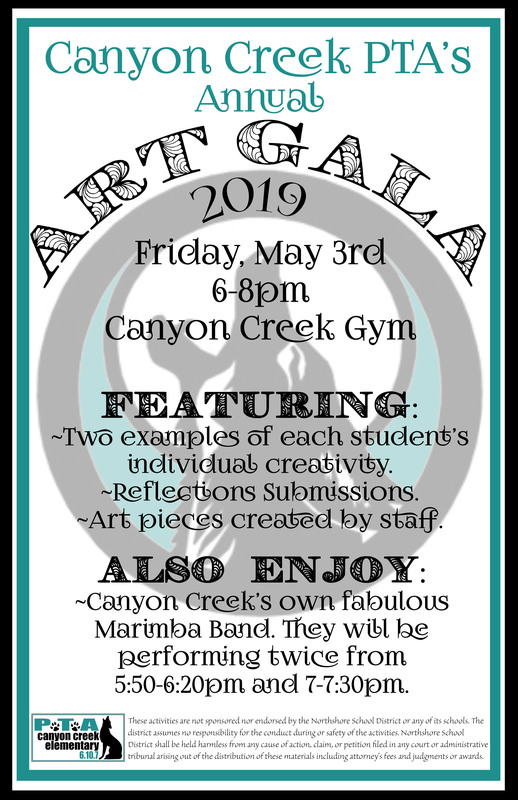 On Friday, May 3rd, 6pm to 8pm, in the gym, explore the awesome student art displays! Our fabulous volunteer Art Docents teach art lessons approximately once a month - across all classrooms - and then present this display of student art projects! Look for two projects from each student. Also find special displays for student Reflections program submissions and staff member art submissions! We are thrilled to have our amazing marimba band perform twice during the Art Gala!! If you have questions about this event, please contact our PTA Art Docent Team: Courtney Carr, Elesha Ostrander, Karen DeMercer and Melissa Kline.